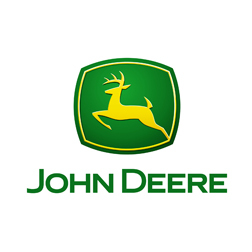 John Deere, the premier name in agricultural vehicles whose legacy has spanned 175 years, is one of the many brands that Viezu can offer an extensive range of tuning and remapping for. With Viezu remapping, John Deere vehicles can be improved to get the very best out of them. Viezu has generated a wide spectrum of John Deere engine remaps and John Deere ECU software remapping chip tuning services, encompassing almost all John Deere vehicles. The John Deere tuning we can provide is bespoke engineering at its finest and can be perfected to suit your needs. Not only is there an increase in fuel economy and fuel efficiency, but Viezu’s John Deere tuning and ECU remap software also improves overall power and torque, throttle response and driveability. Viezu has worked hard to develop a great range of tuning for both John Deere diesels and some of the John Deere petrol models too. The majority of the John Deere tuning is carried out swiftly and efficiently through the OBD port and a remap can be installed in as little as 45minutes. All of the remaps and John Deere tuning produced by Viezu can be personalised to your exact needs, be it all out performance or economy remap offering fuel saving. All John Deere tuning and remapping work comes with Viezu’s no quibble money back guarantee and full underwritten insurance. Viezu John Deere Tuning is developed in house by our team of ECU software and remapping experts. Viezu has performance and economy engine maps for the majority of the modern John Deere range, including the John Deere Tractor 9020 series, 9030 series, Harvester S, T and W series.